Submit the information below to access the article. 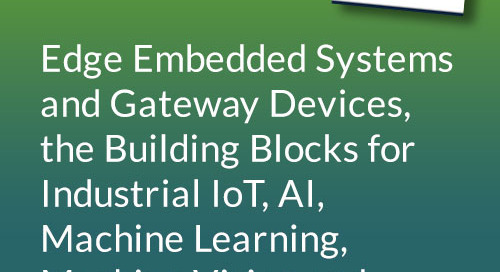 As industrial manufacturers look to capitalize on the efficiency and insights of Industry 4.0 (otherwise known as the Industrial Internet of Things (IIoT) they must transition their electronics infrastructure to support intelligence at the edge of operational networks. Once in place, converged infrastructure compute solutions can facilitate real-time communications and decision making for distributed development teams and organizations that yield more productivity, improved products, and lowered operational expenses (OPEX). This emerging paradigm is known as closed-loop manufacturing.